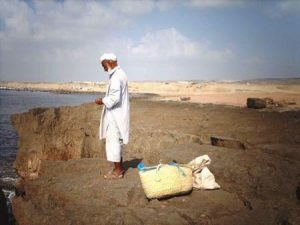 For the first time I acquainted Baluchs from the sharp-sighted eyes of late Molawi Abdol-Malek. However, none of nations enjoys positive characters or negative ones hundred percent; Baluchs are not excluded from this classification. 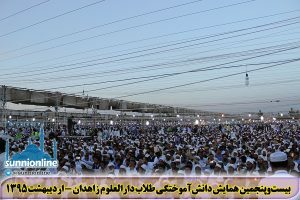 On Thursday 5th May, 2016, the city of Huffadh (Zahedan) was the host of tens of thousands Sunni citizens from different corners of Iran and even outside of the country. They endured the stress of the trips of hundreds and thousands of miles just to show their respect for knowledge and Ulama. 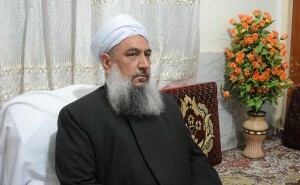 Shaikh Abdol-Hamid made the stances of the Iranian Sunnis clear in a part of his speech in the biggest gathering of Sunnis in Iran, saying ‘all Sunni intellectuals and Ulama’ unanimously agree on the following of the case through legal channels. Teachers teach us to read, write and how to live a better life. But this time a teacher taught us of magnanimity. Note: Mawlana Habiburrahman Motahhari is a familiar figure for people in Khorasan and even for neighbor provinces and regions of Iran. 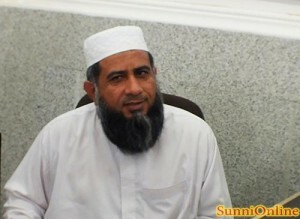 Provoking concerns regarding the increasing of Sunnis’ population by radical outfits and circles is not a new issue; many Shia extremists have been striving to increase abhorring about Sunnis by reporting fake news, distorting facts and creating religious disputes in order to achieve their totalitarian purposes. 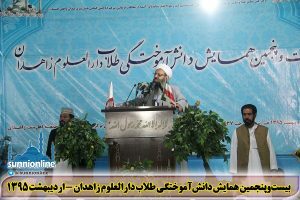 Shaikh-ul-Islam Mawlana Abdol-Hamid, rector of Darululoom Zahedan and chairman of the Coordination Council of Sunni Seminaries in Sistan-Baluchistan, left Zahedan to the central and southern parts of Sistan-Baluchistan on Saturday, 23 Nov. 2013. The 12th nationwide Qur’anic competition for hifdh and qiraah (memorization and recitation of the Qur’an) has been held in Darululoom Zahedan, Iran. 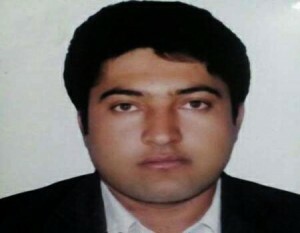 Note: Recently some pro-state extremist web portals, who have been striving to defame leading dignitaries, highlighted outstanding Sunni leader’s participation in funeral prayers of an assassinated tribal chief and absence of Shaikh in public rally held over the 34th anniversary of the revolution in Iran.